Newcastle-on-Tyne, England. Editor: W.H. Lambelle. 1/1, July 16, 1880. Incorporated Lambelle's monthly Spiritual Pioneer. 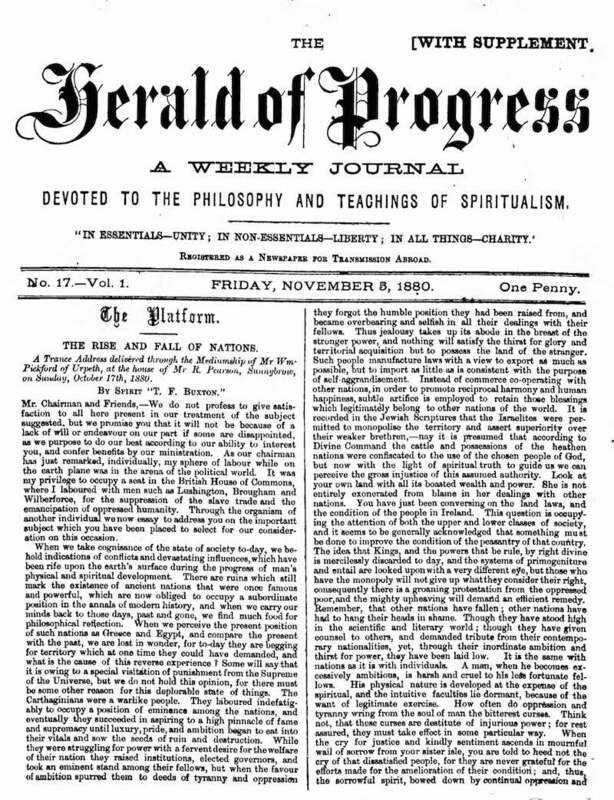 The journal regularly had articles by William Oxley, including, in the issue for November 5, 1880, "Occultism and Adeptship" on H.P. Blavatsky's mysterious uncovering of a needed cup and saucer under a deodhar tree on a "pic-nic." The journal was in financial difficulties from the first. The Psychological Review in March 1882 noted that the spiritualists' convention organized to support the journal exclusively ended "under a dense cloud of uncertainty and humiliation." Spanish National Library; LOC.